Dear RML Members, Wish you all a Wonderfully Creative, Productive, Positive, Prosperous and Peaceful 2016! In my Dec’15 Authors’ Lounge Interaction with our redoubtable Elpi Ma’am, I had said that I wanted to save the best for the last. Likewise, I had also long back decided on my Jan’16 Authors’ Lounge Interaction - that this and only this one should be the first of the year 2016 because I could think of no other way of commencing the New Year’s AL Interactions! You will know and understand the full import of this statement as you read on! Maaya Dev a.k.a. Maayadev here, is a sublime poet inside out, as she breathes and lives poetry! I sensed this when I had the good fortune of reviewing her maiden poetry collection ‘Shimmering Chimes’ that resonates with not only her sublime Krishna Bhakti that she says pervades her but some sensitively expressed poetry (http://www.ratemyliterature.com/magazine/read/shimmering-chimes-by-maaya--dev--a-review_7794.html). She has already contributed quite a few of her poems here. Another reason why I wanted to commence my 2016 Authors’ Lounge Interaction with Maayadev is because I wanted to start the year by presenting to you all a Profile in Courage, Conviction and Commitment! Yes, that’s what and much more is what Maaya represents…How many of us can overcome a major accident and reinvent ourselves? This is what Maaya did! A major accident and debilitating injury early in life, had completely confined her indoors due to severely restricted mobility! Through years of perseverance, patience, determination and making poetry her companion while lovingly cared for by her close family like her husband and parents, Maaya succeeded in creating a new identity for herself, that of a sensitive poet and writer. ‘Shimmering Chimes’ is the culmination of that effort, struggle and never-say-die spirit of our dear Maaya! Dear friends, without further ado, gear up for an interesting and absorbing interaction with this truly inspiring and admirable poet and yes a living Profile in Courage, Conviction & Commitment - Maaya Dev a.k.a. Maayadev! 1.Hi Maaya! Greetings from RML for a Great New Year and a warm welcome to the Authors’ Lounge! Many thanks for so readily agreeing to grace the first of the 2016 edition of Authors’ lounge for a tête–à–tête. So let’s begin at the beginning Maaya. Please tell us something of your early years. Hi Paddy, thank you so much for inviting me to grace the prestigious space ‘Authors’ Lounge’. I feel delighted and honoured. Before I get into the grip of conversation let me wish RML family a very blissful, prosperous and creative New Year. Somewhere read 'Happiness is revisiting childhood memories'. And today, while responding to your questions here, I am floating in the whirlpool of emotions and memories. For most of us, the childhood memories are precious and the same holds true for me too, except that in my case, it has much more depth than others. I was born and bought up in a small town in Kerala. In childhood, happiness meant simple pleasures of life like playing on paddy fields, running barefoot on grass, plucking flowers, eating kanni-manga (tender mangoes), celebrating festivals like Onam and Vishu with cousins, uncles and aunts. Since Dad was working in Dubai, we (me, mom, & sister) lived with my grandparents. I still remember when I was 7 years old; I flew down to Dubai to spend my summer vacation with dad and travelled back alone leaving my mom and sister there. I was very close to my grandparents especially my Muthasha (grandpa), I grew watching him living a simple and disciplined life. I have learnt a lot and instilled values and ethics of life from him. My schooling was in a convent school. I actively participated in dancing, singing, painting competitions and was always known to be a happy-go-lucky girl. Those were perhaps, the best days of my life. I graduated in Economics Honors from Calicut University and soon after, we relocated to Mumbai, leaving behind all cherished memories in a closet and got busy with the fresh demands and dreams of life. 2. Ah, for most of us, childhood, school and college days are the most cherished always and I can see that it’s the same with you too! I am aware that it would be painful for you to revisit the subsequent years after your debilitating accident. Yet, if ok, please share some of your experiences from that unfortunate phase of your life that you converted to your advantage to give yourself a new identity and add a new meaning in your life. I believe this question is necessary for all of us here and those who get to read this interaction to learn from you. However, if you choose not to answer this question, I’d completely respect your wish and move to the next question. Dear Paddy, nothing to hide really, if my life and experiences can inspire even if one person for a moment, I would be glad to share it anytime. As I said, I entered my youth with lots of dreams and aspirations. I got a job in a reputed shipping Company. Life was promising and I was thrilled the way life was treating me. But unfortunately, it didn’t last for too long and within a blink all my dreams crumbled; my world churned into bits. It took some time to register into my senses that a failure of spinal surgery confined me to bed forever. A medical negligence tossed my life. What I could see was an indefinite uncertainty!! However, this tragedy could not paralyze my spirits. Eventually I regained inner strength and bounced back. I learnt to accept the harsh reality and refused to surrender to my fate. All my efforts and focus were put exclusively to get my life back to track. Days, weeks, months, years passed, by seeking various treatments and hospitalization while witnessing the ups and downs of life. As life moved on, I became more adaptable towards life and situations. My entire perception to look at life has changed over a period of time. I started appreciating simple joys of life and acknowledge the blessings I am bestowed with. I remained happy in my small world by keeping everything beautiful around me, be it surroundings, people, emotions or memories. Since nothing is eternal, I love to live and re-live every bit of this life. I am happy to have never lost the power to smile at life and blessed to be a ‘Pollyannaish’ throughout. 3.“However, this tragedy could not paralyze my spirits” – this one line speaks volumes of your courage, determination and never-say-die spirit, dear Maaya, something all of us need to realize and learn to count our blessings. Notwithstanding the fact that you went through a truly difficult and de-motivating period in your life, what inspired you to turn to poetry? Was poetry always a part of your life or did your own early life’s experiences make you turn to poetry as an outlet for your suppressed emotions? I don't know if writing poetry was ordained but I was unaware of my writing abilities until a decade ago. It was my sister who spotted the latent flair of writing in me and appreciated, encouraged and motivated me to her best. Initially, I was more into hazy scribbling and was not much into serious writing. At that time, my writing mainly was revolving around my personal experiences and emotions. But since last couple of years, I have been able to give more time for fruitful writing and have earned some amount of creative satisfaction and joy. I found writing highly cathartic, refreshing and simply enriching and encoring my experiences. Life’s harsh experiences refine the sensitivity a poet requires and perhaps that’s how I ventured into the writing arena. The journey so far has made me realize how my unproductive days were turned creative and camouflaged the unwanted into a thrilling experience. 4.Thank you Maaya, for that interesting and inspiring response. Not camouflage as you say, but converting an adversity into an opportunity! What thoughts cross your mind as you write a poem? Many may agree with me when I say that writing poetry is a charming labour. In my case, it is more impulsive and unintentional. It is a beautiful, spontaneous outburst of emotions and imagery, catalyzing in a momentum like some magic unfolding in the form of a poem. It is astonishing to notice how; a theme, an image, an experience, an emotion, a thought or even a word do inspire me to write a poem. Above all, delivering the best to my ability is a challenge until I can come up with something which satisfies me fully. 5.As I said in my intro, Krishna and Krishna Bhakti seem like an integral part of your life and living…Please share some of your life’s experiences and anecdotes that made Krishna pervade the very core of your existence. Well Paddy, I grew up worshipping, listening and reading mythological stories of Lord Krishna. Unknowingly I got fascinated by His personality. But it was during my testing period that I developed a deeper faith and spiritual bond with HIM. I was properly guided with right intuitions and I believe it is HE who acts as a ‘Guide’ in my life. The beautiful thing I experience is I can feel HIS presence when I need HIM the most and I could derive required strength to recuperate whenever I hit the bottom. I truly don’t know what words can actually define my faith, love, adoration, and devotion for HIM but there is a ‘Divine Intimacy’ that I share with HIM undoubtedly. It is a matter of joy that my birthday fortunately falls on ‘Krishnashttami’ that further reinforces my belief that I am blessed and loved by HIM immensely. 6.Very interesting! How did this beautiful poetry collection of yours ‘Shimmering Chimes’ happen? In my book’s blurb, I have mentioned how this happened. I will share here once more for all of you. As every journey has some origin, this pious journey too started with a call from an unrecognised, unaddressed dream which my instinct embraced whole heartedly to fructify as rhapsody. I am glad it got fulfilled in the most gorgeous way one can ever dream of and thank you so much Paddy for reviewing it brilliantly that added ‘Shimmering Chimes’ worth all the more. 7.Thank you Maaya. Given the divine and sublime quality of ‘Shimmering Chimes’, my review of it wrote itself! I am aware that you have been extensively decorated with awards for your poetry. Please share some details about them for the benefit and knowledge of our readers. Hahaha, I really do doubt that it’s extensively decorated with awards. But yes, I am fortunate and blessed enough to see that poetry lovers and fellow poets are well appreciating, getting engaged and enjoying my poems. Well, I was able to find my poems in various national, international anthologies and national, international journals like Episteme, Criterion, Langlit, and so on. Glad to win Delhi Poetry Challenge 2015 a National Hunt Contest by Kaafiya Poetry Festival in collaboration with Readomania, bagged the title ICOP CRITIC OF THE YEAR 2015 at Destiny Poets UK along with two more placement in other major categories as (Highly Commended) Poet of the Year, Faith Centred Poet of the Year 2015 of ICOP AWARDS. Also received other recognitions like Best Poem, Editors Pick, Featured Poet at Writers Digest, Muse India, Poetry Soup etc. 8.Wow! Heartiest Congratulations on all those truly commendable and well deserved recognitions to your poetry! Besides writing, how do you engage yourself? In my leisure, I keep surfing and reading. I developed interest in psychology, philosophy and spirituality and found a lovely connection between all three. I observed an invisible transition, a seamless merge one after one (psychology > philosophy > spirituality). It is amazing how these subjects matured my thinking and contoured into the person I am today. Sketching and crafting are my other pastimes I love to immerse in. I usually unwind listening to music. Ghazals and instrumental music are so soothing and meditating to the core! 9.What are your views on the modern trends in poetry? Do you enjoy reading the present day poets? Any favourites? Poetry since its very inception has undergone sea changes, depending on socio-cultural practices and many other inevitable factors. Unlike Victorian Era, modern poetry is contemporary and poets are highly experimental, innovative, daring and adventure forth into serious subjects like terrorism, war, abortion, abuse, death etc., by dropping conventional poetic diction. Poetry is now a multi-dimensional discipline and the trajectory is more specific and yet unbounded. It is expanding, evolving and is having its own eccentric trending attitude. In short, modern day poetry is the recasting and remolding of traditional poetry with the blend and flavour of realism and radicalism. 10.If there is one lesson that all of us could draw from your highly positive attitude to life dear Maaya, what would it be? Life is beautiful in all its unpredictability and mystery. So live life to the fullest and re-invent yourself, your joy and peace in the run. Always remember, life has a way of balancing itself out – when something precious is lost, it gets replaced with a better one. 11.Well said and thank you Maaya, for that most enlightening and illuminating response! According to you, what really constitutes poetry? Do you have a message for the young and upcoming poets out there? Poetry is ‘Poet’s Painting’ of words and imagination on the canvas of heart. It is the music of a sensitive soul. The tranquil expressions and thoughts flow from the inner world to the outer world to touch and ignite many hearts while uplifting the very cord of life. Poetry is a classy literature form which is aesthetic in beauty, gentle yet powerful, penetrating and entertaining. Well, reading good literature truly helps. One should enjoy the process and it gets better over a period of time so keep writing. One writes confidently when it comes from the heart. Never ever plagiarise. Slowly adapt a style of your own and stand unique. Thanks to all those who are reading this interview and once again thank you so much Paddy, for this beautiful opportunity! And before I conclude, let me say that RML is a ‘Literary Wagon’ and my best wishes for more and more success! Destiny Poets’ International Community of Poets ( ICOP ) are pleased to announce that for October 2015 , the following works have been chosen in the categories of Poem of the Month and Highly Commended . Poem of the Month ..*** The blow,the glow – Mangeni W.Obwoya ***…..In the Category of Highly Commended ( tabulated alphabetically ) are the following…** A Reflection of a Home Truth – Kumaara Sukeja **…. ** Blessings Rain – Tapeshwar Prasad **…. ** Chess – Vijay Nair **…. ** For Just This Once – Sana Rose **…. ** Frederick and Geraldine – Marieta Maglas **…. ** I Wish – Elizabeth Hexberg **…. ** In The Terrain of Draining Hopes – Geetha Ravindran **…. ** Peace Always – Vineetha Mekkoth **…. ** School Friends – Elizabeth Kuriakose **…. ** Set Things Straight – Jan Phillips **…. ** Truth is Colourless – Sunita Prasad **…. ** You Don’t Spell Love – Santosh Bakaya **……….. And the Award for ICOP CRITIC for the month goes to….Vijay Nair AND Maaya Dev . Destiny Poets’ International Community of Poets ( ICOP ) are pleased to announce that for November 2015 , the following works have been chosen in the categories of Poem of the Month and Highly Commended . Poem of the Month ..*** Stone Eyes – Elizabeth Kuriakose ***…..In the Category of Highly Commended ( tabulated alphabetically ) are the following…. ** A Road Near Cookham – John A.Fingleton **…. ** An Elixir For Survival – Geetha Ravindran **…. ** Bhagalppur:1989 – Vijay Nair **…. ** Explore The Life – Fatima Afshan **…. ** Kintsugi Soul – Keith Wallis **…. ** Musical Muse – Maaya Dev **…. ** Night Beyond – Gopal Lahiri **…. ** Of Solitude – Moksedul Milon **…. ** Sundrops – Sunila Kamal **…. ** Taken By The Flow – Sarala Ramkamal **…. ** Where Were We – Jan Christian Sorensen **…. ** You Are – Pramila Khadun **…….And the Award for ICOP CRITIC for the month goes to.. Shamsher Singh AND Maaya Dev AND Vijay Nair..
" Unveiling of Myopic Maya "
Unveiling of myopic Maya is a great , loyal and a stupendous review by Bhaskaranand jha Bhaskar. The more I speak about him, lesser it will be. A trilingual poet ( Maithili, Hindi and English) and a well known reviewer . He is MA in English literature with specializations in linguistics. And phonetics. He is widely published nationally, internationally and his articles finds the charm at leading newspapers of India. Deeply humbled and grateful for this amazing review Sir, I can't thank you enough Sir , completly floored and stumbled, feeling elated and blessed..
Maaya Dev's debut anthology Shimmering Chimes is a wonderful collection of seventy poems that chime in with varied poetic moods of the poet. With two insightful forewords by the eminent literary personalities -- Ravi Subramanian and Dr. Santosh bakaya-- who have truly unveiled the poetic talent inherent in her, the book contains seventy poems, reflective musings over myriads of issues ranging from the devotion to God, nature, love, patriotism, spirituality, mysticism metaphysics and the innermost quest to explore the intricacies of life. Al the poems, soothing and symbolic, deserve to be enjoyed and , of course, highlighted with proper, finer and perceptive analysis. The poet herself reveals in the beginning that ‘Shimmering Chimes is a true reflection, an expression of experiencing various shades of life and emotions’, with ‘the sparkle of mood and feeling in the mystic fire of muse and struggle to bring forth a new emotive impulse or revelation.’ Devotion, mysticism and spirituality, nature and metaphysics are the recurring themes of her poems. smiling at me from inner mirror. There I see You! I see me! and darkness doomed with celestial spark. Your holy touch resurrected and lifted my soul. I see my flesh dispersed into thin air as fume. I submerged in Sat- Chit- Ananda- Bliss! on the wings of aurora. to fireworks of blissful moments. Pristine truth surfaced! I am a human being. She successfully records her emotional response to the natural world.‘Rendezvous with Nature’, ‘Oh! Majestic Ocean’, ‘Humdrum of that Green Valley’, ‘Desert Rose’ etc deserve our attention for the embodiment of her poetic vision, elements of divinity and immense beauty of thoughts reflected through objects of nature. the darkness too failed to conceal her bareness. How long the perverts rampage her femininity as if their rights? What if she was ever their daughter, sister, wife or mother? She also underlines the dual aspect of woman.If she is delicate, humane, compassionate and loving one time, when need be , she can turn into destructive force and sacrificing her divine power she can also cause doomsday of the world. of unsaid words to the obvious. I dived deep into the serene hidden river. It flows from its pure terrain with elegance. twinkling on the sky of my solitude. Some day it shall blink as glitter stars. My voice whispers to me in silence. Fed up with stern reality of life, she sometimes wishes to turn away from the world of pain and pangs to the world of dreams for joy. Everything said and done with the poems analyzed thematically, it is pertinent to mention here with a corrective approach that the anthology was required to undergo some serious proof-reading because even a small black spot mars the beauty. Some of her poems have stains of grammatical errors, though slight. They are- ‘heart promise its essence’ (page 31), ‘Wherever the shadow /of unfair rejection ensue’ (35),’Onlookers goes’ (85), ‘When endeavor boom’ (87), ‘ before the ocean waves gulps me’ (89), ‘before fire ashen me’, before the pyre flame my sins’(89), ‘But often fails to bring’ (90), ‘The silence produce sweet melodious notes’, that pulsates’…. (93), ‘ The ebb and flow of your gentle breeze/ comfort my fatigue and returns my novelty’ (93). Hope in next edition, these errors must be rectified. Still, I relish the silent monologues, your absent mind let go off freely in front of my existentially absent presence. In spite of I secretly seek thy earnest attention to share my feeble melancholy. Rather your images vanish as you leave me forgetting even to acknowledge my silly deed. I am bound to remain as a memoir and the secret admiration and desperation of yours haunt me that swirl as guilty and produce tears that vaporise before anyone notice it. I am destined to be just a medium to introduce your physical self and any sort of lingering that is not in my help won’t serve me or others. Poetry, says the legendary poet William Wordsworth, is an overflow of powerful feelings. I shall beg to differ from the master with due respect and say ‘Poetry is a shimmering Chime’, the music and the rhythm emanating from the heart. Poetry, it is said, one must enjoy before understanding it. I agree with this view point. All the sixty lovely poems in Shimmering Chime of Maaya Dev I have enjoyed before understanding the deep philosophical undercurrent of the sea she has created in it. 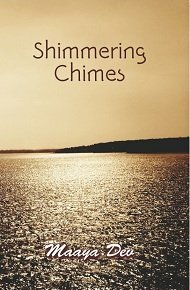 When Maaya asked me if I shall be interested to review her anthology Shimmering Chimes, I agreed for two reasons, first, I consider it an honour and second, I shall get a chance to read the works of an upcoming poet. In order to review a book of verses one need to consider the poet to be a bundle of poems, for the moonlight that reaches the earth often pass through the cloud! The poet and the poems can’t be separated. The mind is just a bundle of thoughts. Maaya’s canvas is very vast; her first poem, Hare Krishna, carries the shades of the blue sky. Her brush picks up the same tone again in Krishna, My Lord… (p.60) and Sat Chit Ananda … Bliss (p.62). With this I don’t conclude that the anthology is replete with devotional themes. Her pendulum swings between divine and sensual. Imagination builds images and the poet can view beyond the unseen. Lay a world of dreams. Yes Maaya, you shall one day win all the hearts, nationally and internationally. It was Edgar Allan Poe who said, “Poetry is the rhythmical creation of beauty in words”. There I see You ! I see me! As I read the above lines, an ethereal image of Lord Krishna with His many-splendoured “Maaya” formed in my mind effortlessly. It was not difficult to fathom what the Poet Maaya Dev is trying to communicate! The entire book is a reflection of Poet Maaya Dev’s inner quest, as she looks deep within herself to search for answers to an elusive spiritual bliss, illusory tranquility and the ultimate peace or Nirvana! For this, she has used various themes as tools in her poems – divinity, love, yearning, romance, nature and so on…yet somewhere in each poem, her deep spirituality is invariably reflected, embedded in some sensitively penned lines here and intelligent wordplay there ..
a path paving towards salvation. as soul rejoices to the awakening. As I read this poem, I felt something stir within me, as if I too am with the poet on a quest for “salvation”… And this is the beauty of Maaya Dev’s poetry! While each poem in the book is a soulful narration of her own quest, the reader too is involuntarily drawn into her quest, as the poem progresses… The poet has this amazing ability to make the reader own each of her poems and identify something of one’s own inner being in them! to chase for precise words to embellish my emotions. In the musing I compose you to gift a mystic guise. But loquacious silence conveyed irony with a smirk. ‘Birth of a Poem’ (Page 28), ‘Divine Silhouette’(Page 32), ‘Scattered Verses’ (Page 47), ‘World of Words’ (Page 77-78), ‘Twinkle Twinkle my Little Poems’ (Page 79-80) and a few others as the Poet’s life-long affair with poetry at different levels. My personal favorites are these three because in one I found the kind of rhyming scheme I follow in my own poetry, another appealed to my ever-present sense of humour (though the poem, as usual, goes beyond this genre) and the third because I could identify with it totally. An ironic style of gaze. Silly, such a silly word! Poem after poem in this slim collection of 60 poems, leads you deeper and deeper into Poet Maaya Dev’s world – her world of spirituality as she sees it and tries to achieve it… It is said that there are many paths to heaven and each one charters one’s own course to attain it…some of us falter, some of us stumble, and some of us have a clear vision of how they have to reach it! Poet Maaya Dev’s poetry impacts us at two levels – as human beings having a spiritual experience and as spiritual beings having a human experience. Get what I mean? As I began reading ‘Shimmering Chimes’, it seemed as if I was hearing some chimes from a great distance – shimmering and beckoning me! With each poem I seemed to move closer to those chimes …! My recommendation to all lovers of poetry would be to not miss the multi-layered poetry experience called ‘Shimmering Chimes’ by the highly talented and expressive wordsmith Poet Maaya Dev. My blog is a reflection of my thoughts, dreams, my aspiration. It is my space where I linger so joyously. 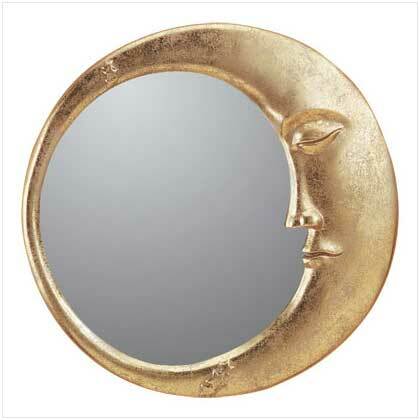 Life is a reflection of who we are. copyright . Simple theme. Theme images by luoman. Powered by Blogger.